Whether you are moving to another neighborhood, another city, or another state, you want only the best white glove moving service. Guess what? You have already found it because Fine Art Shippers is an all-in-one solution to any moving need! Headquartered in Midtown Manhattan, NYC, Fine Art Shippers is a reputable fine art shipping company working with numerous galleries, antique dealers, auction houses, artists, and collectors from all over the United States and beyond. This simply means that we can easily relocate even the most valuable and fragile items, from fine art to your old grand piano, while providing you with the highest quality white glove moving service tailored to your specific needs. Moreover, we will do it for you at a reasonable price. This is actually another important reason why our white glove relocation and moving services are considered the best in the New York metropolitan area. Be it a simple move within the same city or a full-service relocation, you will be surprised to know how affordable this service can be when you deal with Fine Art Shippers. We value all our clients and always try to meet any budget without sacrificing the quality of our work. So if you are looking for a professional white glove moving service at a fair price, please do not hesitate to request a free shipping quote right from this website! More than two decades of experience moving valuable and delicate items, ranging from paintings and sculptures to antique furniture and musical instruments. The ability to do absolutely any moving job quickly and within the timeframe. Professional packing and crating services performed by our highly experienced staff members who use only high-quality materials and the most modern packing methods. 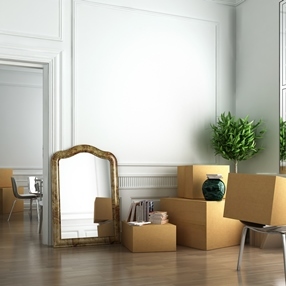 Various storage options in the majority of US cities to streamline even the most complicated move. Very competitive rates for all white glove moving and other services offered by our company. Whether it comes to furniture shipping or white glove moving of the entire estate, feel free to contact Fine Art Shippers! We are always ready to solve any moving problem, no matter nationally or internationally!